Size: 25 x 32 cm / 9 7/8 x 12 2/3 in. – An indispensable guide to the most exciting island destinations of the world! 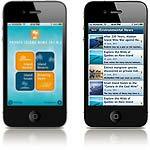 – Now everyone can find a dream island to call their own for a while! Private islands have always inspired fantasies-no wonder they top the list of dream travel destinations. Whether on the white sandy beaches of the Seychelles or in romantic Robinson Crusoe retreats in the Caribbean-on an island you can leave the rest of the world behind for a while-or take the best of it along with you! 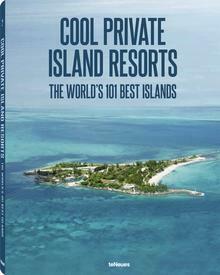 Cool Private Island Resorts – The World’s 101 Best Islands invites the reader on a global journey of a different kind-on a stunning island-hopping trip with stops in a host of truly majestic resorts, sensual spas and sun-drenched beach bungalows. Wander through the resorts of famous island owners such as magician David Copperfield and self-made billionaire Richard Branson or take some time out on the same private luxury island where Prince William and Duchess Catherine spent their romantic honeymoon. Be the king and queen of your own island castle or enjoy a private hideaway on a self-catering basis. Spending some time on an island retreat is affordable for every budget: The rental rates are between $100 and $10,000 per day. Whether for a one-of-a-kind wedding, a secluded family gathering or a tranquil corporate event, island getaways provide the perfect remote escape and a truly unique setting. Your favorite island is waiting to welcome you to its deserted beaches.